I think one of the bigger misconceptions about healthy eating is the thought that it's too time consuming to make a proper meal. That just really isn't the case. 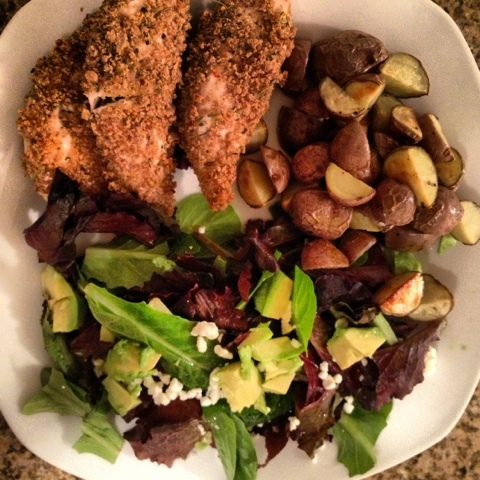 Plus, I feel it is VITAL to make a healthy dinner every night... especially if you have a family. There are a few staples that should be in your freezer/cabinets that will get you through any week. Last week, I posted this meal on my instagram and got enough likes that it deserved a quick little post. 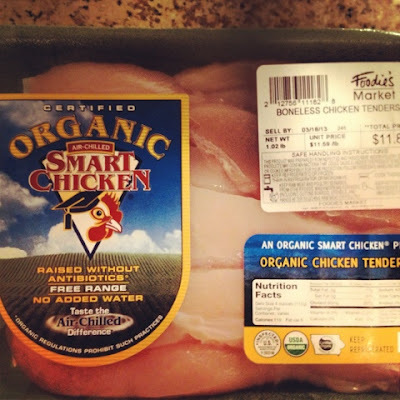 I know organic chicken is more expensive, but, in this country it's really important to eat organic chicken. The regulations on how chickens are raised are extremely poor. This is your body, it is the one thing in your WHOLE LIFE that you have 100% control over. That is a gift, spend a few bucks more. 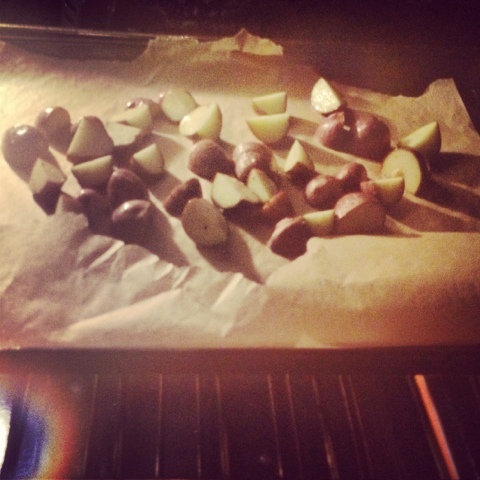 Here, I had mini red potatoes in my fridge (sweet potatoes are also great this way). Cut them up into tiny little quarters, season with a little bit of extra virgin o/o, salt, & pepper. Place on a parchment paper lined baking sheet and bake (turn halfway through) for about at 400 degress for 25 minutes or until golden and soft in the middle. 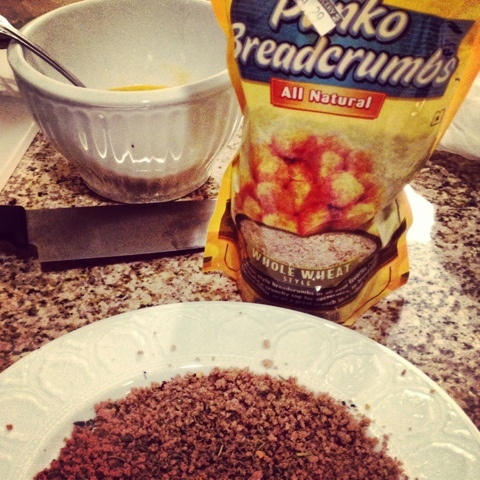 I love panko! A couple of weeks ago I bought this whole wheat bag, honestly, it's really not as flavorful as white panko, but, it is healthier. I've been playing with it to see if I can get better flavor out of it. It's all about the herbs, baby. Here, take your chicken and coat it in egg (organic, please) and then season the panko with herbs de provence, garlic powder, pinch of salt, & crushed red pepper. Coat the chicken in the panko. Put on a parchment lined baking sheet and cook for 12 minutes at 400 degrees (just throw it on the same baking sheet as the potatoes). Let me know if you want to see any modifications. Have a GREAT week!